Since launching their site on WordPress, KornDev had been maintaining and supporting BOKU’s website on an ongoing basis. 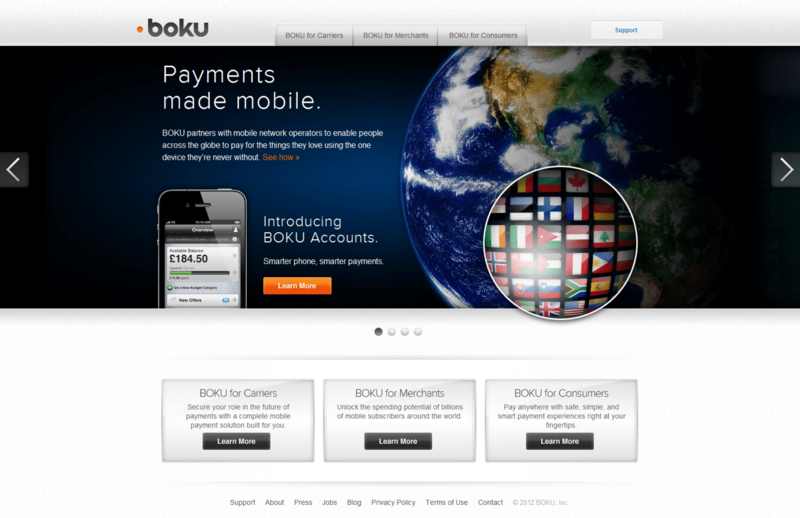 In early January 2012, BOKU approached us asking to rebuild the entire site by February 27 for a new product launch. With less than 8 weeks to spare, KornDev worked closely with several internal BOKU designers, developers, and other key stakeholders to get a new site up and ready before Mobile World Congress 2012, where they planned on introducing their new “Accounts” product to the world. In the wee hours of the morning, on February 23, BOKU’s new website saw the light of day. Again, utilizing the power of WordPress, and several custom modifications and additions.